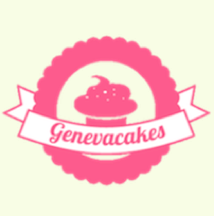 Welcome at Genevacakes ! On our website, and in our shop in Geneva, you will find more than 2'000 products, selected by us with care, for all your projects of cake design or pastry baking. We try to bring to you the latest novelties and do the best to help you realize and decorate the cake of your dreams. Browse our pages and make your choice, for an on-line order or a visit in our shop in la Servette in Geneva, we would be delighted to help you ! You can either follow the themes of the categories in the left menu or search our full catalogue using the research field.